I ordered carne asada and carnitas and dressed my tacos with salsa from the containers in the ice compartment. Roja for the carne asada, verde on the carnitas. A squirt of lime over the carnitas and I dug in. The first taste was the salsa verde. The spice hits your nostrils, the raw jalapeno peppers, the cilantro, a hint of avocado. A complex and delicious creation and possibly the best salsa verde I’ve had on this taco hunt. 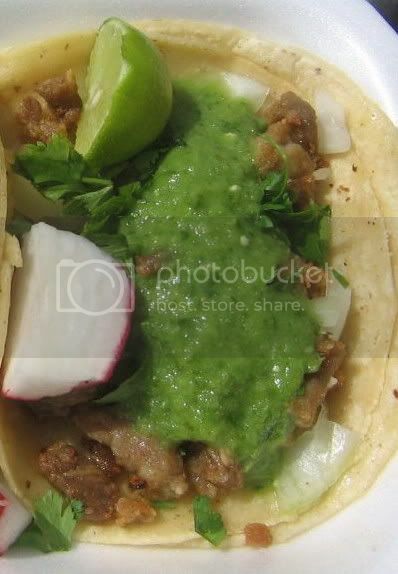 The pork was fried and crunchy, a little chewy at times but the verde was so delicious it covered any weakness the taco may have had. The salsa roja had a creamy texture and was very tomatoey with not much spice. The charred carne asada was juicy and flavorful but the salsa didn't go well with the beef. I like a salsa to make me reach for a cold beverage. This roja had some interesting flavor to it but it was too mild for this taco reporter. Overall these were good tacos. 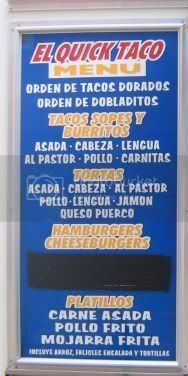 I'll be back to try the al pastor and cabeza and for the delicious salsa verde. I went to same truck but it was parked on Venice in Mar Vista at night. Near the Good Hurt. Same truck night time schedule. Bandini: You consistently mention Lime Jarritos. Senorial is my money drink, and although I grew up on the westside loving taquerias I haven't ventured further. Any other mexi-soda tips? can't go wrong with mexican coke or any of the jarritos drinks. 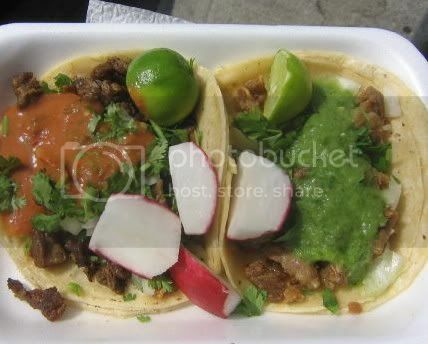 horchata and tamarindo go good with tacos as well. 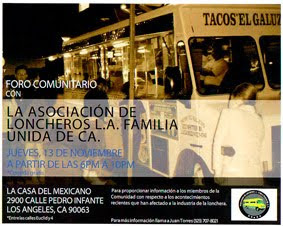 you're right..i saw this truck tonight outside the zacatecas bar on venice blvd. 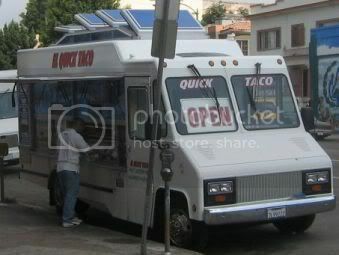 EL quick is parked at 6 and rampart only people don't confuse.El quick taco is not in venice is on RAMPART and 6.